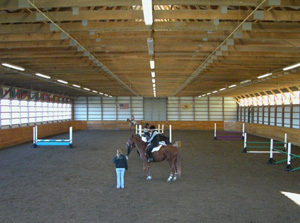 Hunter Farms offers boarding and training facility that is second to none. 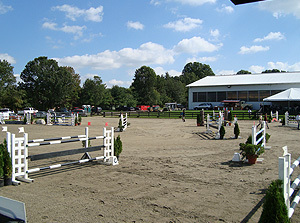 Hunter Farms was home of Princeton Show Jumping and has hosted events for over 28 years. 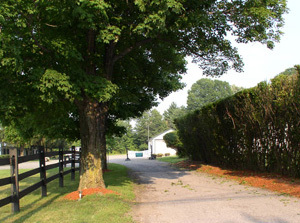 We proudly boast one of the most extensive Derby Grand Prix fields in the country. 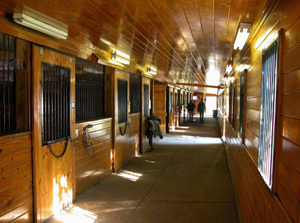 Facilities: 37 large box stalls, 2 indoor arenas (90’ x 200’ and 60’ x 160’), a Grand Prix Derby field, and all weather Grand Prix ring. 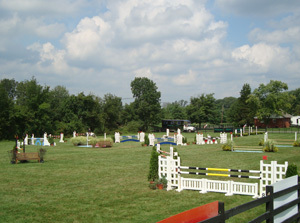 Our rings and jump fields are irrigated. 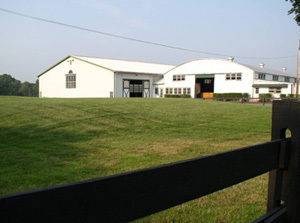 Your horse is kept in top show condition by a well-trained staff and great equipment from fly free barns to a European Loose horse walker. 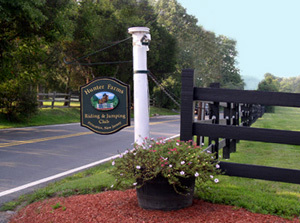 Hunter Farms is a full-service equestrian center offering great care, the very best instruction and a training facility that is second-to-none. 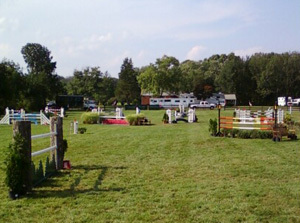 We travel to some of the biggest horse shows in the country and have competed on the Florida circuit for more than 20 years. We are one of the most active sport horse dealers in the country with extensive European contacts and the ability to market and sell quality horses.